Around the world, particularly in South East Asia, chefs have devised ways to use giant banana leaves in cooking savoury and sweet foods alike. Banana leaves serve many purposes in the kitchen, from adding flavour to foods cooked inside them, to simply being used as colourful serving plates. A parcel made from banana leaves seals in moisture and flavour and infuses the contents with a subtle, grassy aroma. As leading providers of fish in Malta, our team at Azzopardi Fisheries St. Paul’s Bay shares two popular ways of cooking fish in banana leaves. Imagine opening a leaf packet and an eruption of steam and aromas filling your nostrils. What could possibly be better than fish fillets, coated in spices and herbs, wrapped into a banana leaf package, and grilled over hot charcoal? (That’s a rhetorical question, by the way). If you’re missing the smell of summer barbeques and want to make the most of a sunny day, invite some people over for some delicious Thai grilled fish. Instead of using tin foil, lay a piece of banana leaf on your grill and cook the fish, veg, potatoes and other food items on top of it. The leaf will first turn bright green, then brown, and once served, will lend your food a lovely subtle flavour. 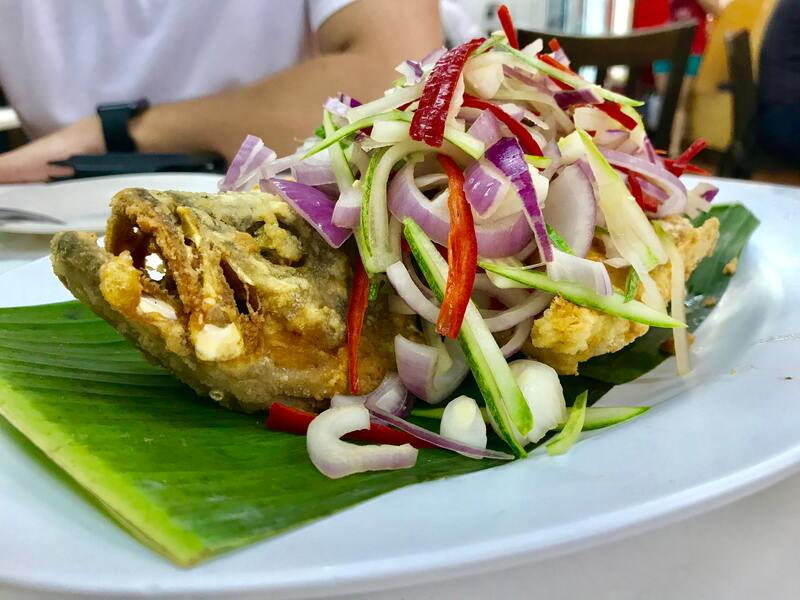 Slathered in a fragrant coconut sauce, wrapped in banana leaves and baked in the oven, you’ll love how tender and delicious this Thai-baked fish will turn out. ​Nearly any type of fish will work in this recipe, including salmon, cod, and tilapia, and can be served with ​plain rice, coconut rice or potatoes. Secure the packet with toothpicks, which should be inserted and woven through the leaf, or simply place the packet “seam-side” down to keep it from opening while baking. Banana leaves dress up the dish by adding an exotic touch, and serve as a beautiful background on which to serve various Asian dishes and platters. If you want to be even fancier, use the leaves to make leaf boats in which you can serve rice, fish, and other food. They also make for a wonderful conversation starter at dinner parties! Looking for the best fresh fish in Malta? Come over to our shop in St. Paul’s bay and see our range of seafood with your own eyes! With over 30 years of experience in the industry, we at Azzopardi Fisheries know a thing or two about providing the best fish in Malta!